Trying to find the career path that best fits your talents and interests is a daunting proposition. Whether you’re a high school senior trying to figure out what sort of advanced education is best for you or a college student struggling to decide on a major, career choice is a big challenge. Unfortunately, not everyone gets it right when he or she is first contemplating this all-important question. 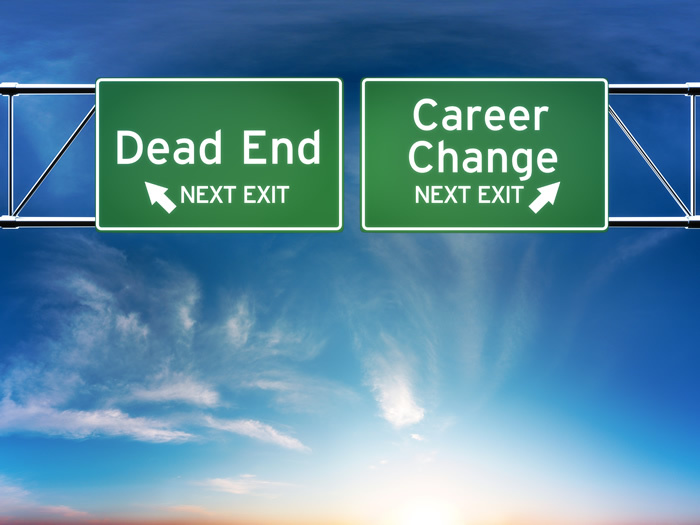 Many people are well into a career they thought was the right one when they come face to face with the realization they would be much better suited — and far happier — if they had pursued a different career choice. While career changes can be made later in life, it’s helpful if you can get it right the first time around, rather than wasting time and effort in a job or field that isn’t right for you. Although no one but you can make the ultimate decision about what career path to take, there are various resources to which you can turn to help you make the best choice possible. Consider Basic Likes and Dislikes: A lot of people spend an inordinate amount of time fantasizing about what it might be like to work in certain fields, particularly those that are glamorized in fiction, on TV, or in the movies. But if you’re not really a very good musician, you’ll probably never be happy — or successful — trying to eke out a living in that field. By the same token, if science and math have never been your strong suit, life as an astronaut is probably not in the cards for you. Look to your hobbies and intellectual interests to help guide you to a career choice that will make you happy and one for which you are suited. Career Camps: Educational institutions and other organizations offer summer camps to help young people make a more informed career choice. Some of these camps cover a broad variety of career choices and provide an opportunity to interact with people who are already active in those fields, while others focus on a specific career category. Internships: If the thought of working in a particular field appeals to you but you’d like first to experience what it’s like, consider putting in some time as an intern in the field of your choice. You may find that it’s everything you’ve dreamed it would be or, alternatively, that it’s not really the career for you. Career Counselors: High school guidance counselors, college career counselors, and private sector career counseling services can help guide you to a decision that makes sense, based on your interests and talents. Career Testing: If you truly have no idea what you should do as your life’s work, career testing might help get you moving in the right direction by revealing some of your stronger skill sets and areas of interest. Career counselors can arrange for you to be tested. You may also be able to take advantage of online resources, such as the MAPP test that’s available from Assessment.com. Surfing the Net: The Internet is also a valuable source of career information, one that you should use to the maximum. Professional organizations often have extensive libraries of information about work in their fields of interest. Browsing through those may help you to make up your mind. If you’re still casting about for career ideas, you might want to consider what various authoritative sources characterize as their five hot career choices for 2014. Using different criteria, these disparate sources come up with their individual selections of jobs that are likely to be particularly well-paying and satisfying over the coming year. One such source is U.S. News & World Report, which each year publishes a ranking of jobs in which employment levels are likely to increase at exponential rates over the short-term future. The magazine bases its job rankings in part on data contained in the Occupational Outlook Handbook published by the U.S. Department of Labor’s Bureau of Labor Statistics. In its job rankings for 2014, U.S. News & World Report notes that for the first time in several years the top job comes not from the healthcare industry, which has long been a consistent leader, but rather from the field of information technology. In fact, the magazine’s top two job selections both fall under the general heading of information technology, while the next three are all in the healthcare industry. At the top of the magazine’s job rankings for 2014 is software developer, which these days includes not only the traditional software applications installed on computers but also the hundreds of thousands of apps that are available for use on smart phones and tablets as well as computers. In addition to their best-known role in developing these applications — both small and large — software developers are also responsible for debugging them and finding ways to make them run faster and smoother as time goes on. U.S. News & World Report estimates that roughly 140,000 Americans are currently working as software developers, a field in which the unemployment rate is pegged at an astoundingly low 2.8 percent. Annual salaries of software developers range from a low of $55,190 to a high of $138,880 with a median salary of $90,060. The second-hottest job in the magazine’s rankings is computer systems analyst, the person charged with the responsibility of maintaining perfect equilibrium or harmony between an organization’s employees, work flow, and computer system. Given the constantly changing dynamics in the typical workplace, this is a challenging field but one that employs 127,700 Americans currently. The job’s median salary is $79,680, and unemployment among computer systems analysts runs about 3.6 percent currently, considerably lower than the overall unemployment rate. The third-hottest job on U.S. News & World Report’s rankings for 2014 is dentist, a job that requires extensive training. Candidates must complete four years of undergraduate college work before they can compete for an opening at dental school, after which they must serve an internship of one to two years. All that training pays off handsomely, however, with a median salary of $145,240 among the country’s 23,300 practicing dentists. Unemployment among U.S. dentists is 1.5 percent. Coming in fourth in the magazine’s rankings for 2014 is the job of nurse practitioner. Healthcare reform is expected to sharply increase the demand for all health professionals. The responsibilities for a nurse practitioner fall somewhere between those of a registered nurse and a medical doctor. Nurse practitioners can perform physical exams, take patient histories, order lab tests, analyze lab test results, prescribe medicines, authorize treatment plans, and counsel patients on continuing care. The median salary among America’s 37,100 nurse practitioners is $89,960, and the unemployment rate is estimated at 0.9 percent. Job number five on the 2014 rankings of U.S. News & World Report is pharmacist. Men and women in this field not only make up prescriptions but also counsel their customers on a variety of medication-related issues, including the dangers of drug interactions and the side effects of certain potent prescription medicines. The median salary among America’s 41,400 pharmacists is $116,670. The unemployment rate for pharmacists is currently 3.2 percent.